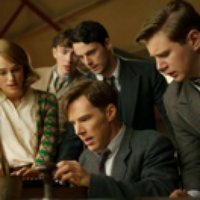 With the Oscars just a month away, it's time to appreciate the masterpiece - and possible multi-award winner - that is The Imitation Game. Alan Turing is the father of the modern computer. He was a pioneering computer scientist, mathematician, logician, cryptanalyst, mathematical biologist and philosopher. He invented the Turing machine. Turing's machine broke the enigma code, shortening WWII by at least two years and saving millions of lives. In spite of this, he was prosecuted for being homosexual. 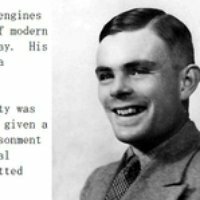 Turing committed suicide at 41. Talented cryptographer Joan Clarke knows what it's like to be a woman doing a 'man's job'. Undeterred by her initial dismissal, she reveals her intellect and is instantly recognised by Turing. 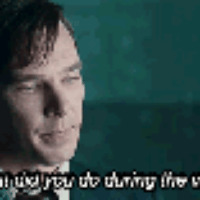 Cumberbatch is celebrated for his striking portrayals of geniuses like Van Gogh, Hawking & Assange. His brilliant, deeply tortured Turing is no different. Another riveting performance! Knightley's Clarke enhanced Cumberbatch's Turing in terms of the actors' performances and the characters themselves. Her compelling performance as the clever mathematician is one of her best roles. Kudos to the creative team for the amazing costume and set design, soundtrack, lighting, camera work, etc. And to the director, Morten Tyldum, for bringing his vision and Turing's story to life.